It’s easier to snooze an alarm clock or grab that uneaten chocolate when feeling too stressed, or even miss out on workout regimes on a lazy Sunday morning. But what’s really challenging is to get persistent in a healthy routine, to get out of that cozy bed and regularly go for a morning jog. As much as we hate habits, we actually are creatures of habit. A 2014 study revealed that 40 percent of our daily activities are simply habits. But why is it so difficult to form a new habit? According to the renowned Charles Duhigg’s best–selling book, The Power of Habit, habits divide into three R’s: Reminder, Routine, and Reward. Think of it this way – traffic light turns green (reminder), you drive through the intersection (routine), and you get closer to your destination (reward). Therefore, if you want to break bad habits, you only need to remove the associated reminder with it. And place an alternative in its position, like if you smoke just after having lunch, try having lunch at a different place. The reminder should force you to act on a different routine. Similarly, when forming new good habits, you only need to place reminders, persistently follow the task, and celebrate the reward. 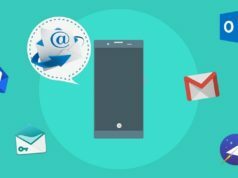 You can either jot down the routine on a journal or go for an Android habit tracker app which can efficiently track your new goals. Habit Tracker, previously known as HabitBull, is an all-in-one goal tracking app for Android, which gives you the necessary push to achieve your goals. The Android app allows you to create customized goals like – Today will be a successful day when I eat apples, (at least/exactly/not more than) two times a day. The habit tracker app features detailed reports in the form of graphs and even presents motivational quotes to refuel when you are feeling blue. If you are aiming to improve your fitness regime, you can sync your Google Fit data as well. Additionally, you can lock the habit app with a passcode if you are looking for any secret goals. You can participate in in-app forums to interact with people who have similar goals. 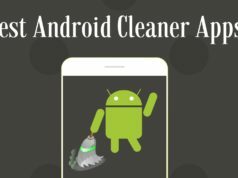 Although the Android app is free to install, it only allows you to create three habits without a paid subscription. As simple as something can be – Loop habit tracker is for people who can compromise on many features but cannot stand a messy interface. The habit app for Android is easy to use and looks stunning when the dark theme mode is turned on. Loop habit app also features a sticky reminder which doesn’t swipe away from the notification panel until you turn it off within the app itself. Another brilliant feature of this best habit tracking app is that you can export all your data and view it in a Microsoft Excel sheet. 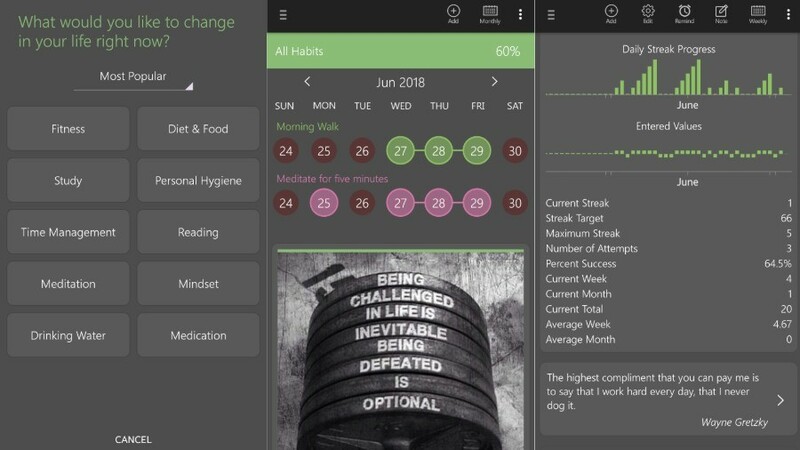 You can also import your habit data from other goal settings apps like HabitBull, Rewire, and Tickamate. Why use Loop Habit Tracker? 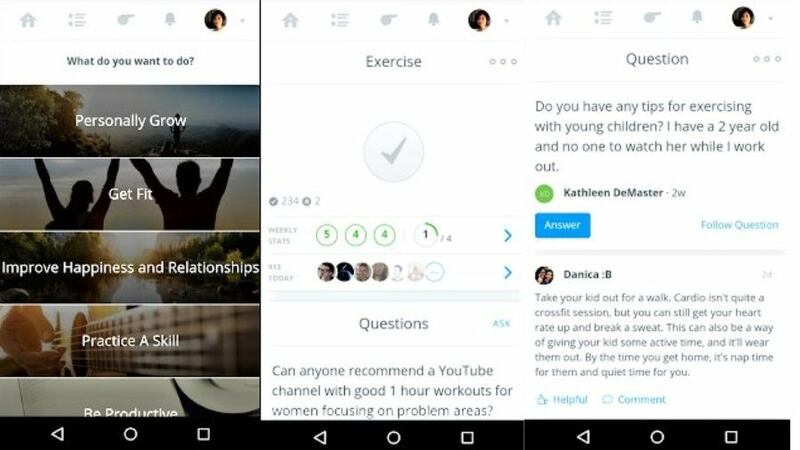 Coach.me for Android, as the name suggests, is a life coaching app that offers add-on feature of hiring a coach for personalized training and helps in achieving your goals. You can either opt for a habit coach or leadership coach for few extra bucks. The only setback with the habit app is the user interface. A little bit complicated to use and might work slow on lower-end smartphones. It also includes a “punch card” view that shows which days you’re most active for each habit, and a history chart shows your streaks over time. You can also mark your goals directly from your smartwatch. Similar to habit tracker app Habitbull, you can only track up to five habits on a free subscription but paid users would get an additional benefit of colorful themes. 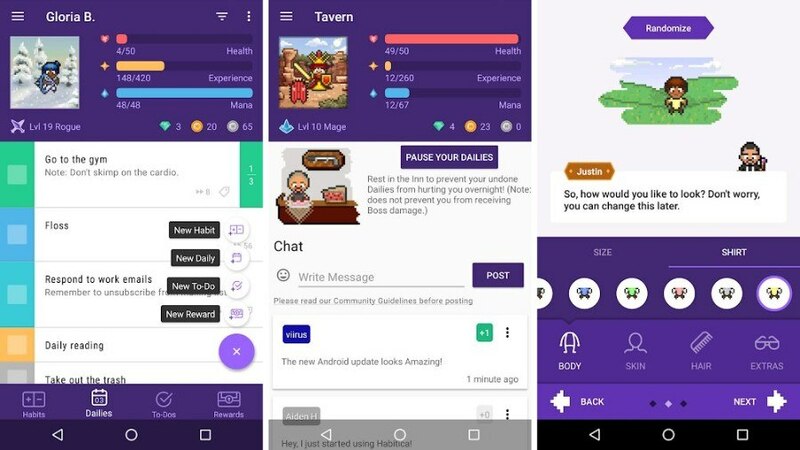 One of the best habit tracking apps of 2019, Habitica turns boring habits and never-ending tasks into a role-playing game where you are awarded points and freebies. Upon successfully achieving a goal, Habitica provides you with experience points (XP) for your character. You earn gold points for making progress in your tasks, thus unlocking weapons and portions to help you in your goal completion journey. Although Habitica’s enchanting gaming interface compels you to achieve goals, it lacks on little habit related features which a user expect from an all-in-one habit tracker app. Unlike other habit apps, Fabulous is very colorful and vibrant habit tracker, comprising of beautiful imagery. This productivity app for Android revolves around the concept of journeys: a group of five goals unlocking one after the other. It even encourages you to celebrate your little wins over time. 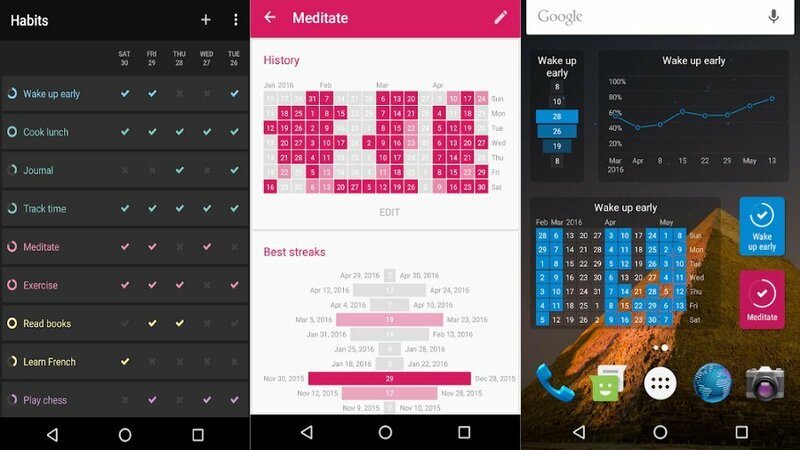 The best feature of this routine app is the bunch of pre-installed routines that come along, like the 7-minute workout and meditation approaches. Fabulous habit app only disadvantage is its inflexibility. The app sometimes makes you feel very restricted, and its intuitive suggestions become annoying at on point in time. 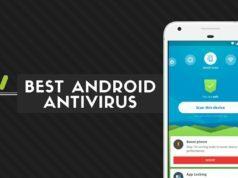 Goalify is another best habit tracking app with brilliant, user-friendly interface. The streamlined design helps you focus on the goals without any additional clutter. You can pause your habits if you don’t have time to work on it at that moment. Under the paid subscription, you can form groups and chat with your friends to motivate each other. 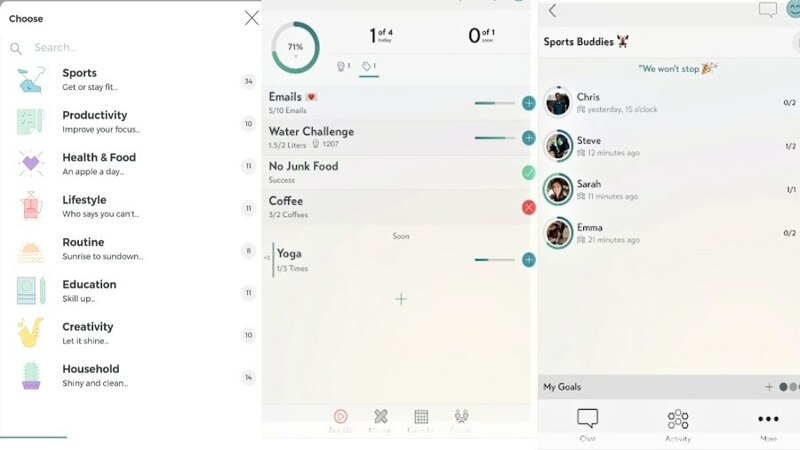 You would also get personalized reports based on your habits activity. A significant demerit of using Goalify is that you can only have three habits under free subscription. Moreover, would have to pay every month to instill more than three habits. Another best Habit tracking app that put good use of Jerry Seinfeld’s Productivity formula is Goal Tracker & Habit List. The app includes a massive calender that where you can put big ticks or cross against each day, exactly how Seinfieled described to end procastination. The best part about this habit tracker app is that it encompasses all the basic habit tracking features with no in-app purchases. Its a free habit tracker app with no ads or paid options whatsoever. 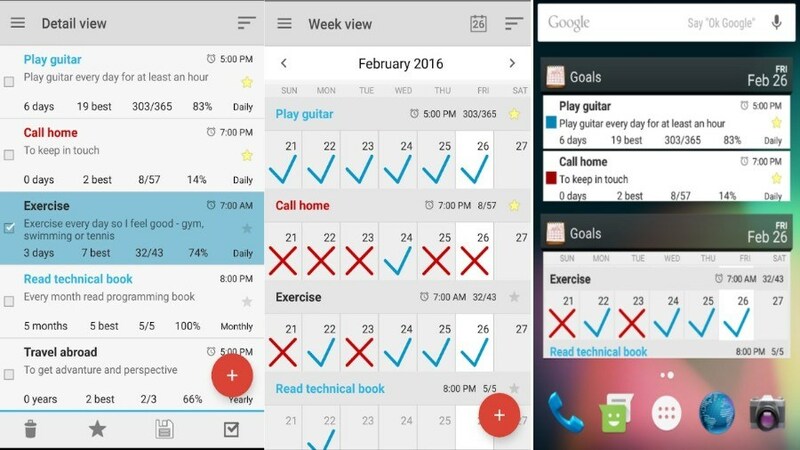 Goal Tracker widget brings the massive calendar right at the home screen. Also, you can export the entire habit app data to Google Drive, Dropbox, and/or local storage. The only problem within the app is UX (User experience design), which I think is quite bland. Many studies over the years have confirmed that it takes about 7 weeks or 44 days to accustom a habit into our routine. 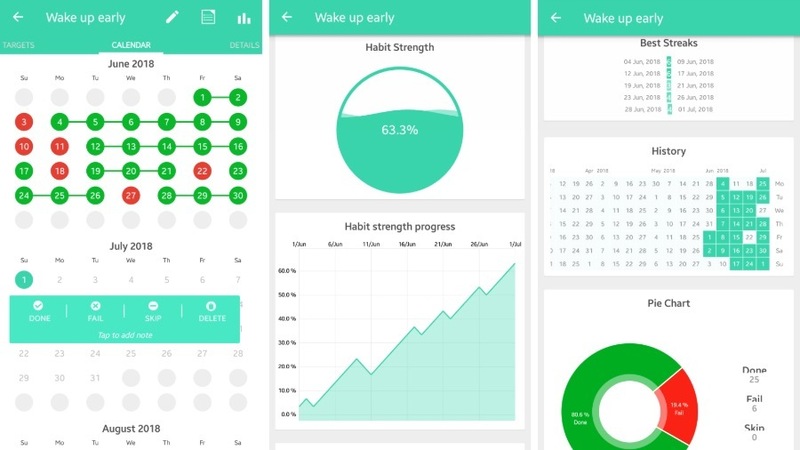 This habit app tries to turn that theory into a reality. 7 Weeks Habit app for Android comes with this smooth and flexible interface along with many customizing options for creating a goal. 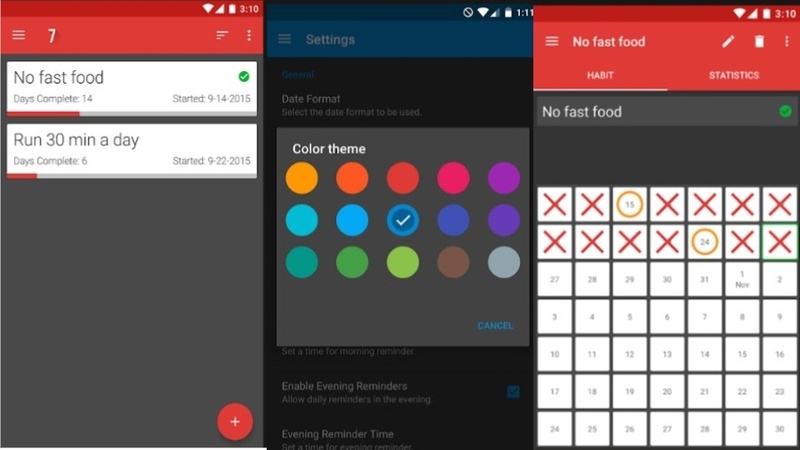 Along with the option of a dark theme, habit app has more fifteen different types of themes to choose from. A drawback of 7 Weeks is that you’ll have to buy a plus version to access the most important features of the habit app. For instance, home screen widgets, custom alarms for each habit, choosing habit for different days and more. Although the pro version costs not more than a cup of coffee, it’s still a major drawback, given that other habit tracker apps are giving much more for free. 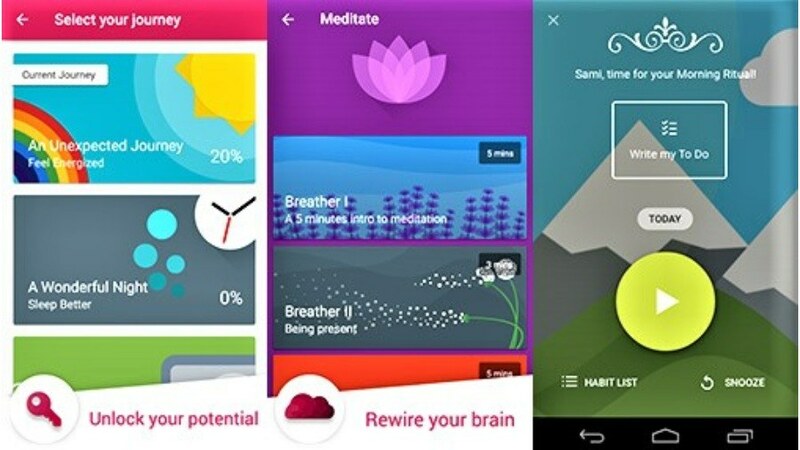 Which Habit app suited you best? 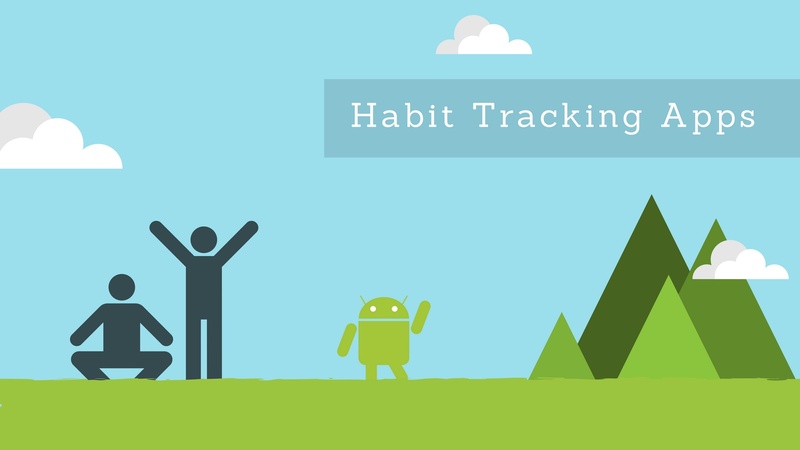 Be it a notepad or habit tracking app on your Android device, following habits until the end is ridiculously difficult. Frankly, I, myself, is having a tough time following each goal. But I have found a little trick that will help you successfully reach your habit task. Try setting up one or two goals at a time. Adding too many goals might become overwhelming after a point in time which could end up not following any habit at all. Share your views in the comments down below and do tell us your little secret upon successfully completing a habit.